Deland's Most Uniqe Event Venue! Email Us To Plan Your Next Event. From weddings, to parties or just an old Florida style fish fry, The Hammock at Highland Park Fish Camp is the perfect rustic outdoor venue. 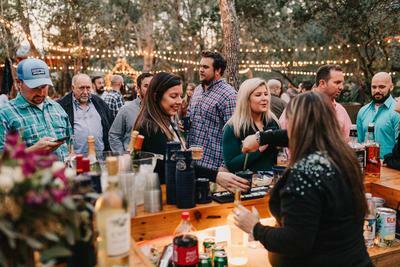 Whether you are planning a family gathering or a corporate event, Highland Park Fish Camp can help you plan the perfect party. Take a sneak peek of a true Florida fish fry at the Hammock feautred on How to do Florida.